Akron Children’s art tracking program helps patients such as Karmella Wilkins express herself through art. It has been 8 months since the Art Tracking program began at Akron Children’s Hospital to help children with limited speech, mental or physical disabilities create art. During an art tracking session, they actively participate in the art-making process to create their own paintings as a means of expressing themselves. 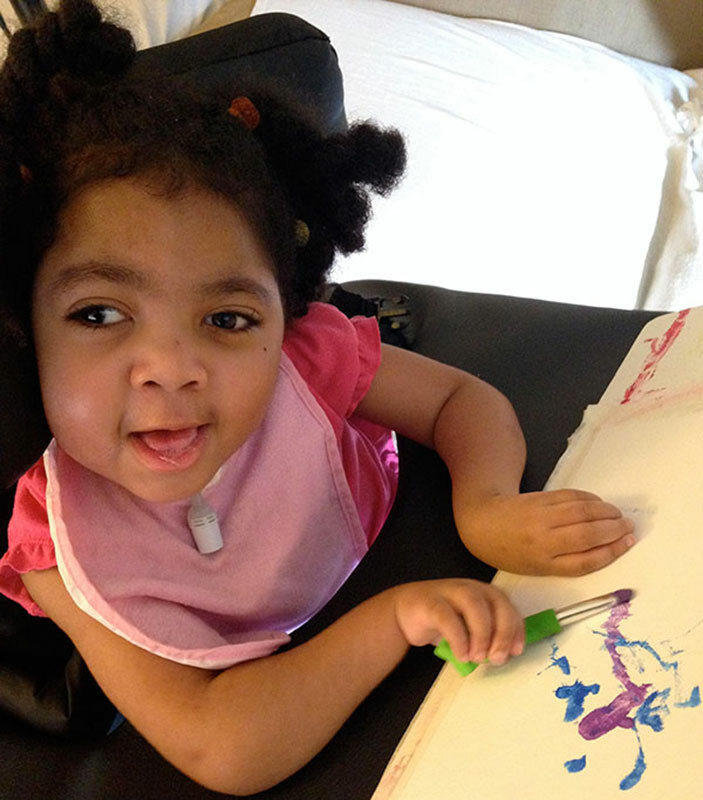 When I first met 4-year-old Karmella, who is non-verbal and confined to a wheelchair, we established a communication system of smiles for ‘yes.’ Through this I found that she loves Disney theme songs, the colors red and fuchsia, and painting. In a typical session, Karmella uses watercolor paint because she can more easily move the paints. I adapted her paintbrushes by shortening them and attaching them to small foam shapes so she could maintain a steady grasp. When Karmella listens to her favorite songs, she makes more brushstrokes when she paints. When she stops painting, I lift her canvas so she can see. She will usually gaze intently, smiling if she likes it or focusing her eyes on a spot that she wants to paint next. At that point, I turn her canvas to that area so it’s within her reach to do so. 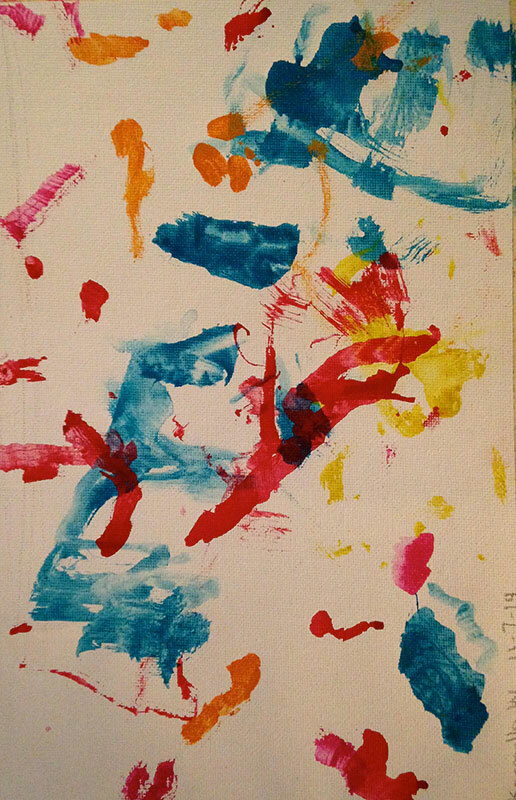 Karmella’s paintings will be on display with others in the program at Akron Children’s Emily Cooper Welty Expressive Therapy Center patient showcase in May. I offer art tracking sessions to patients in our palliative care program or those who have experienced traumatic brain injury, with a focus on those who are nonverbal or have limited speech. The sessions generally last 1 hour and I tailor them to meet the needs of each individual. The first session involves an explore and discover opportunity that allows individuals to become familiar with the materials and program. It also helps me learn what assistance they’ll need to participate in the art-making process. Each session builds on the last and is documented visually and through written notes. I offer the sessions in several locations for convenience, including the Hub in Copley, the Hub Gallery in Canton, or I can hold sessions at the individual’s home. Referrals to the art-tracking program are made through our expressive therapy center. 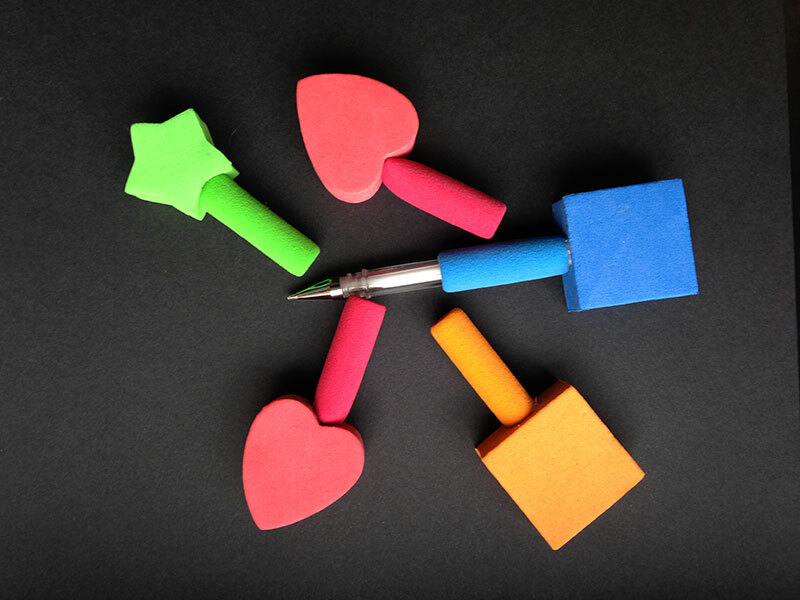 In addition to traditional art media, our expressive therapy center recently received a grant from Akron Children’s Employee Foundation Council to purchase stylus mouth sticks. These are very useful for patients with limited or no use of their hands. They give them the option to have the stylus pen, for use on touch screen electronics, with an adapted mouth piece. The stylus mouth sticks will give our patients in the art tracking program more independence to explore art using an iPad. As part of our year-long anniversary celebration, we’re telling the story of Akron Children’s through the eyes of past and present employees, doctors, donors, volunteers and patient families. We encourage you to share your own memories and stories about us.